Wanna make ethnic style jewelry? 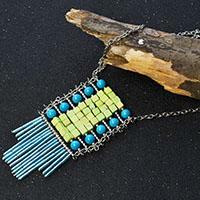 This tutorial will share an ethnic style tassel pendant necklace to you all. Hope you can get some inspirations on making bead pendant necklace. 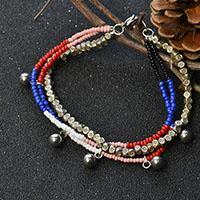 Are you searching for handmade charm bracelets? Look here, next I will share a 3-strand bracelet with charms to you all. Hope you will like it. 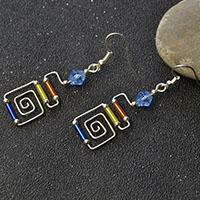 Do you wanna make wire wrapped earrings? This tutorial will show a pair of bugle beads earrings to you guys, you can follow here to make your own.